To keep up with global food demand, the UN estimates, six million ha of new farmland will be needed every year. Instead, 12 million ha are lost every year through soil degradation. Australia lost 36 million ha of agricultural land in just the four years from 2005 till 2009. Some of this lost land has occurred because of urban sprawl which is swallowing up some of our best soils close to cities that used to supply the fresh fruit and vegetables. A scathing report by the Royal Commission has gone as far to accuse the Murray-Darling Basin Authority (MDBA) of negligence and being "incapable of acting lawfully," apparently because they overestimated the amount of water returned to the river by a factor of ten. The House Standing Committee on the Environment and Energy will hold a public hearing tomorrow for its inquiry into the management and use of Commonwealth environmental water. The Committee will hear from the National Farmers’ Federation and the National Irrigators’ Council. The inquiry is focused on the role of the Commonwealth Environmental Water Holder, including how environmental water is being used, the outcomes achieved and options for improving community engagement. Further information about the inquiry can be found on the inquiry website at www.aph.gov.au/environmentalwater. There is a humanitarian catastrophe unfolding in Syria and the "western" media ignore it. On December 22 al-Qaeda aligned Takfiris in the Wadi Barada valley shut down the main water supply for the Syrian capital Damascus. Since then the city and some 5-6 million living in and around it have to survive on emergency water distributions by the Syrian government. That is barely enough for people to drink - no washing, no showers and no water dependent production is possible. Article originally published at Moon of Alabama. Sources of pictures and enlargements also available there. Privatisation on the backfoot as new book shows that the growing wave of cities putting water back under public control has now spread to 37 countries impacting 100 million people. Entirely predictably, the Murray Darling river system is toxic with effluent again, host to masses of poisonous cyanobacteria. As the Weekly Times reports, "WATER will be switched off to hundreds of farmers and town residents in the Mallee this week as the Murray River blue-green algae emergency worsens. The toxic outbreak now involves almost 500km of the Murray River and has claimed reservoirs, rivers, wetlands and parts of Victoria’s two biggest irrigation districts. Taps were turned off to towns and farms in parts of the southern Mallee late Friday when the algal bloom reached key Wimmera Mallee pipeline pumps near Swan Hill, catching most residents unaware. Experts said a record autumn heatwave, with temperatures soaring above 40C in northwest Victoria this week, was expected to grow the algal bloom until it choked almost all of the Murray River along the NSW-­Victoria border within weeks." But these problems have been known for so long now, it seems foolish to believe that we can hope for any resolution that would keep the vast Australian desert from claiming on our only major inland river system. Certainly we should not meddle with the northern river systems, but unfortunately our psychopathic leaders have already started. Thanks for the invitation to be involved in your recent Water leadership workshop. I enjoyed the experience. Regarding my point about population in the notes you took and have reproduced below, I think your notes play down the problem and don’t reflect the entirely of what I said. On the current trajectory Melbourne would be 8+ million by 2050- just 34 years away. And it is irresponsible to represent the issue as having any chance of stopping there. ALEPPO, SYRIA. 12 July 2015: The water crisis is getting bigger. We are boiling water and cooling it to make it clean to drink. A couple of days ago, the Syrian Government took over all water from the water sellers, who are blackmailing the people and asking expensive price for the water. Government and military officers distributed 500 litres per household for free. This pleased many but annoyed others who wanted more and were ready to pay for it. Yesterday's water prices doubled! Many say that the water (which comes from a dam on the Euphrates, which is under the terrorists' control) reached the Sleimaniyyé sector of the city, where the distribution station is located. So it needs couple of days to reach to our house. ALEPPO, SYRIA: We have received the following report, which attests to knowledge of ISIL using chlorine as a chemical weapon and controlling water supply from the Tishrin Dam on the Euphrates. - 10,000 years ago humans and our livestock occupied just 0.01% of all the land-air vertebrate biomass on earth. - Now humans and our livestock occupy 97% of all land-air vertebrate biomass. - Humans and our livestock now consume over 40% of earth’s annual green land biomass production. - 1 million people born every 4½ days. People live longer. This song contains photos from protests in multiple US states as well as some from Europe. The footage is very impressive. Music is a great way to communicate, so send this round if you want to help resist the technology that is fracking democracy as well as razing entire landscapes. Fracking costs more than it is worth in terms of production as well, according to Bloomberg. See inside. Humans are appropriating too much water for their own needs and not leaving enough for the survival of other species, according to Sustainable Population Australia (SPA). The sale of Australian agricultural land and water resources to foreign interests that was noted with alarm in June by other contributors to candobetter is only part of a global trend. The IPCC document HS 15332 Climate Change Impacts: Securitization of Water, Food, Soil, Health, Energy and Migration explains how the UN plans to secure resources to use at their disposal. Through the International Monetary Fund (IMF) under-developed countries are forced to sell their resources to the global Elite as "full cost recovery" to the global central bankers. Once those resources are under the complete control of the creditors, they become assets to be reallocated back to the enslaved nations for a price. 14 August 2012 by Susanne Posel of occupycorporatism.com. Republished from Global Research. See also: Does Australia need a national policy to preserve agricultural land? of 1 June 2012, Writer sees Bob Hawke as guilty of treason and treachery of 1 June 2012, WA Independent opposes foreign buyout of Australian rural land of 4 June 2012 -- article and comments on the same page. Does Australia need a national policy to preserve agricultural land? An Australian Farm Institute study provides a comprehensive review of what is currently known about the amount and location of Australian agricultural land, the rate of land use change occurring, and how governments make decisions both in Australia and internationally. Whether or not there will be sufficient good quality land available for agriculture in the future has not been a high priority issue for most of the past two hundred years. See also: The Groundwater Footprint: The Privatisation of the World's Water Resources of 16 August 2012. Read more about Does Australia need a national policy to preserve agricultural land? The period since the Murray-Darling Basin Authority released its guide to the proposed plan, nearly two years ago, has been marked by sustained outrage from all quarters. Water-poor Australia is also the world’s biggest water exporter! Australia uses huge volumes of water to produce products for export, but cannot find enough water to keep its river systems alive. 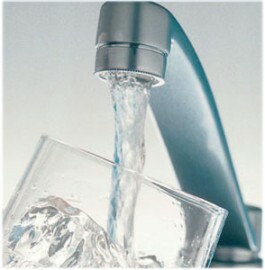 Read more about Water-poor Australia is also the world’s biggest water exporter! Murray Darling Basin Authority (MDBA) – independent authority or rubber stamp? Over the last decade, the Murray-Darling Basin Authority and its predecessor the Murray-Darling Basin Commission have been hamstrung by the National Water Initiative, which is promoting the privatisation of Australia's water: to the joy of speculators and the dismay of those who understand the need to promote wise and sustainable use of the nation's water. Originally published as a Media Release for Fair Water Use on 7 Mar 11. ScienceDaily (Oct. 1, 2010) — The world's rivers, the single largest renewable water resource for humans and a crucible of aquatic biodiversity, are in a crisis of ominous proportions, according to a new global analysis. National public water rights and environmental advocacy group Fair Water Use is encouraged by the broad recommendations made in the guide to the draft Basin Plan released earlier today by the Murray Darling Basin Authority, but is concerned that Federal and State parliamentarians will use the forthcoming consultation period to justify softening of the Plan for short term electoral advantage, rather than to promote the long term interests of the river system and its communities. Jan Beer, Plug The Pipe spokesperson and environmental activist in opposition to North-South Pipeline, is taking legal action against Government Agency Melbourne Water for alleged infringements of her right to privacy over a 2 year period. Comments yesterday from Tony Burke, Federal Minister with responsibility for water, appear to infringe upon the statutory independence of the Murray-Darling Basin Authority, according to environmental and public water rights advocacy group, Fair Water Use. Recent legislation to privatise water services in Italy has met with staunch public resistance and a well-organised national campaign, resulting in the tabling of a petition of around 1.5 million signatures from citizens opposed to this legislation - three times as many as are required to call a referendum on the issue. Without obtaining the prior mandate of the electorate, successive Australian governments have been seeking to establish a water-market in this country. For as long as the people of Australia are required to “buy-back” the nation’s water, especially during times of crisis, they will have no water security. Bidding-wars, as currently being waged by Senators Wong and Joyce, are now an unattractive and dangerous feature of Australian water policy: profits arising will be privatised but the impacts will be borne by the Australian public. The electorate of this country must be given the opportunity to indicate whether it wishes its water to be privatised and exposed to global speculation - or protected for future generations of Australians. The original case for Labor's controversial $1 billion food bowl upgrade was rejected by state cabinet because the government's promised water savings could not be achieved for the price tag of $1 billion, it has been revealed. Farmers have slammed an independent report that says Murrumbidgee and Murray irrigators should make big sacrifices to help revive the Murray-Darling Basin. The cut would drain at least $2.7 billion out of the basin's economy. The north-south pipeline has provided a mere 16.7 billion litres. That translates to a piddling 1% of Melbourne’s current water supply.